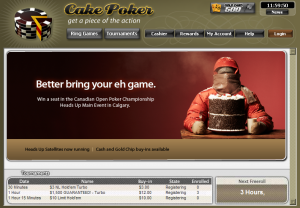 The good news is French poker players now have a legalized and regulated online poker market due to recent legislation passed by the French legislature; the bad news is that they have lost access to the entire Cake Poker Network, and will likely lose many other online poker sites in the near future. So, while French players now know where they stand on legal grounds, and will hopefully have a safer, better regulated, market to play poker online, it will take some time for different sites to apply for, and receive, licenses to operate in the country. Additionally, it’s likely many smaller sites and networks will simply pass on obtaining a French license due to costs. This entry was posted on Friday, April 9th, 2010 at 7:33 am and is filed under Poker Industry News. You can follow any responses to this entry through the RSS 2.0 feed. You can leave a response, or trackback from your own site.